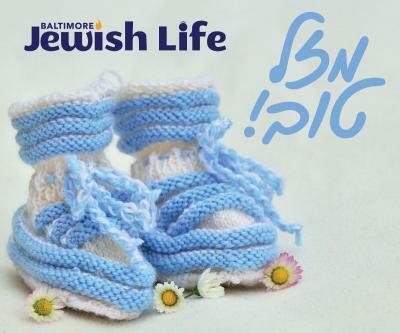 Baltimore Jewish Life | Where Baltimore Jewish Life Really Happens! Baltimore, MD - Apr. 23, 2019 - BJL wishes a hearty Mazel Tov to Dova Boyars & Jake Adler on the birth of a son יה"ר שיזכו לגדל בנם לתורה, לחופה, ולמעשים טובים. אמן! Environmental activists have attempted to step up pressure on Israel over its use of plastics– which contrary to global efforts to curb such usage– rose by double-digits since May 2015. Israel is the second largest consumer of disposable tableware per capita, just behind the United States at number one. Nearly half of Israel’s plastics are bought for the Yomim Tovim. Israelis also ranked as the least likely out of all surveyed to say climate change is a major threat to their nation, with only 38% believing climate change was a major threat and over half of respondents in Israel (58%) saying climate change is a minor threat or not a threat at all. Read more at i24NEWS. New York - Kohl’s wants you to skip the post office and bring your Amazon returns to its stores. The department store chain says it will accept Amazon returns at all its 1,150 stores starting in July. Kohl’s has been testing Amazon returns at 100 stores for nearly two years and sees the service as a way to get people in its doors and potentially buy something while they’re there. Shares of Kohl’s Corp. soared 8% after the announcement. Those with Amazon returns don’t need to pack them up. Kohl’s says it will box items and ship them out for customers. Prime Minister Binyamin Netanyahu pledge to build a new community named after US President Donald Trump on the Golan Heights in gratitude for the president’s recognition of Israel’s sovereignty on the strategically important territory. During a family visit to the Golan Heights, Netanyahu said that “all Israelis were deeply moved when President Trump made his historic decision to recognize Israel’s sovereignty on the Golan Heights.” “Therefore, after the Passover holiday, I intend to bring to the government a resolution calling for a new community on the Golan Heights named after President Donald J. Trump.” Read more at Arutz Sheva.